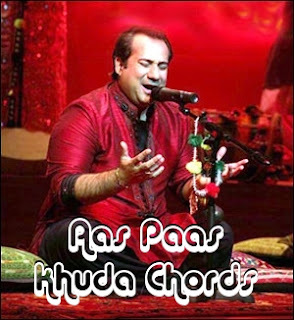 This post contains the chords used to play the song Aas Paas Khuda sung by Rahat Fateh Ali Khan from the movie Anjana Anjani. Lovely song to play on guitar. The song is in F major scale and you need to know just a few chords to play this song. tu na jaane aas paas hai khuda..